This has to be one of the most adorable walkers ever and it’s sure to get your tot moving. The Van Walker from PlanToys helps kiddos work on coordination and gross motor skills while sparking their imagination. This eco-friendly toy is made with sustainable rubber wood and coated with a non-toxic finish, plus all the bright colors you see are made from vegetable dye. The walker has a sturdy handle for kids to hang on to, plus a fun storage area so dolls, stuffed animals or your child’s favorite books can go along for the ride. Comes in three beautiful pastel hues: blue, pink or yellow. This has to be one of the most adorable walkers ever and it's sure to get your tot moving. The Van Walker from PlanToys helps kiddos work on coordination and gross motor skills while sparking their imagination. This eco-friendly toy is made with�sustainable rubber wood and coated with a non-toxic finish, plus all the bright colors you see are made from vegetable dye. 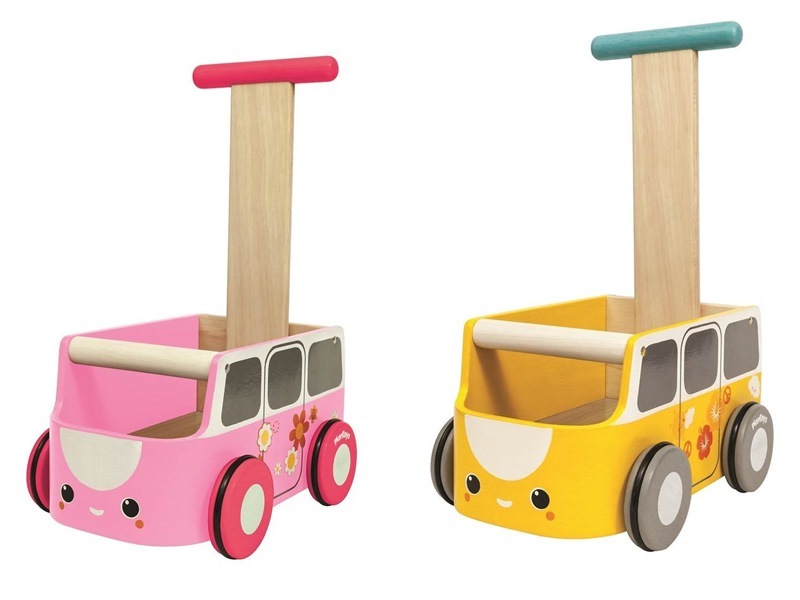 The walker has a sturdy handle for kids to hang on to, plus a fun storage area so dolls, stuffed animals or your child's favorite books can go along for the ride. Comes in three beautiful pastel hues: blue, pink or yellow.